The holiday season is a very exciting time to visit the Walt Disney World Resort! In addition to all of the decorations at both the parks and resorts, there are also several special events occurring at Disney World during this time of the year. One of the most popular of these events is the Candlelight Processional. So what exactly is the Candlelight Processional and do you need to book a Candlelight Processional Dining Package to see it? The answer to the dining package question is no, you don’t NEED to book it to see it. However, having a dining package definitely helps! So what makes getting a seat so difficult? When do the Candlelight Processional Dining Packages open for booking? 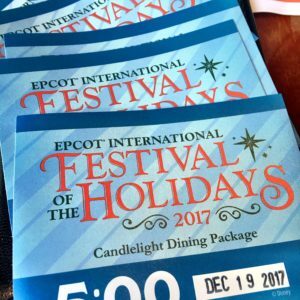 What should I do if I don't book a Candlelight Processional Dining Package? 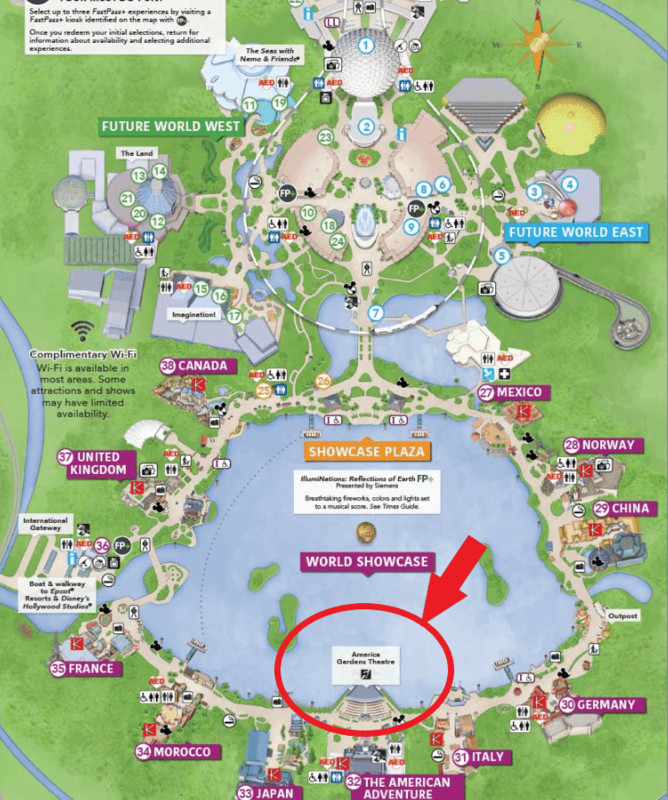 So, is a Candlelight Processional Dining Package necessary to see the show? 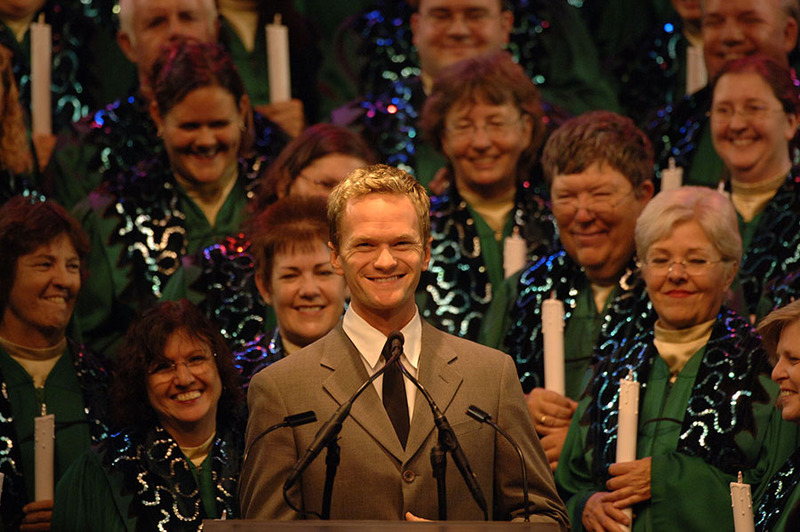 The Candlelight Processional is a presentation of the Christmas Story that is read by various celebrity narrators. Accompanying the narrators are a 50-piece orchestra and a huge choir which, as you can imagine, creates a truly lovely experience. 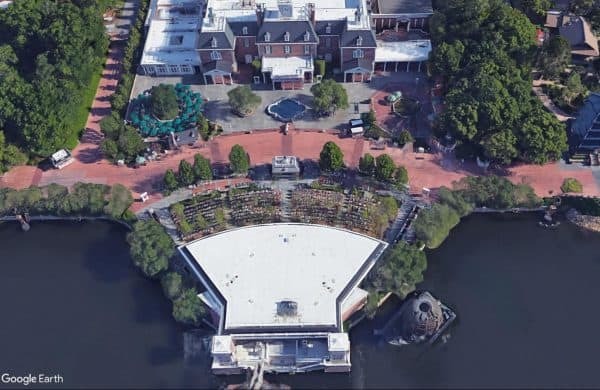 The show lasts 40 minutes and takes place 3 times a day (5:00, 6:45, and 8:15 p.m.) at Epcot in the outdoor America Gardens Theatre which is located in The American Adventure pavilion of the World Showcase. There is no cost to attend the Candlelight Processional. The popularity of the show and the small size of the theater means securing a seat can be a challenge since a large number (over half) of seats available for the performances are reserved for guests that have booked the dining package. So, while booking a Candlelight Processional Dining Package is not required, it is the best way to guarantee your seat. People using the Disney Dining Plan can use 2 Table Service credits to pay for the package. For people paying out-of-pocket, in most cases breakfast and lunch will be your least expensive options. Which performance your guaranteed seating will be for is determined by the time of day of your reservation and you aren't able to use your guaranteed seating privileged at any show other than the one assigned to you. You'll know which performance you are assigned when you make the reservation which makes it easier for you to plan out the rest of your day. Even though guests with the dining package have guaranteed seating, your exact seat isn't assigned. Everybody (both those with the dining package and those doing standby) will need to line up in order to enter the theater. The closer to the front of the line the better your chances are of securing the best seats, but since there is such a large chunk of the theater reserved for guests with Candlelight Processional Dining Packages you don't have to line up nearly as early as those doing standby. Getting in line about 45 minutes early is generally good, although, for the most popular narrators (like Neil Patrick Harris) you might want to consider lining up even earlier if you are picky about your seats. The release date for the Candlelight Processional Dining Packages varies from year to year, although they are generally released in mid-summer (late June, early July). Typically, some of the narrators will be known at this time but it isn't uncommon for the narrators for some dates to not be released until later in the year. If you don't have a dining package you'll need to use the standby line. 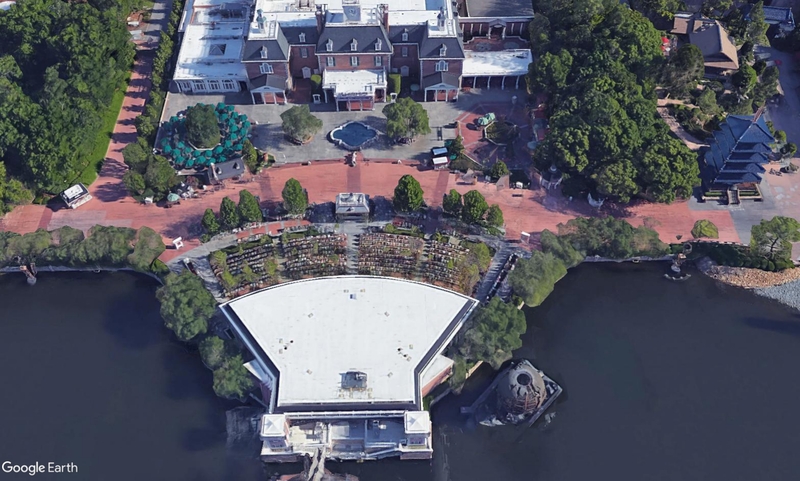 Plan to arrive to the America Gardens Theatre early with the aim of being close to the front of the line. How early you will need to arrive will depend on the popularity of the narrator for that evening. One tip is to check-out how the standby line looks for the first show. If you see a long line forming 2 hours early, you'll know what you'll need to do at the later shows in order to get a seat. 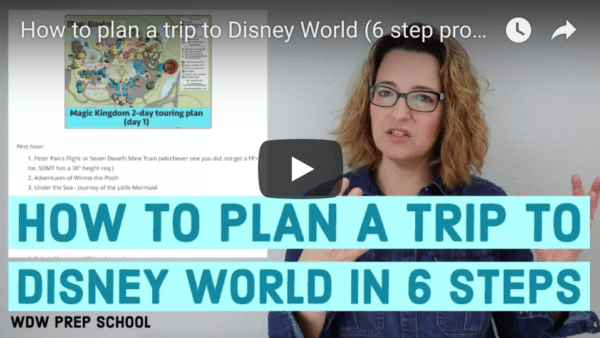 Also, the Cast Members working that area often have a good feel for the popularity of the narrator and politely asking one of them how early they'd recommend lining up can help, too. If seeing the Candlelight Processional would be "nice" but you wouldn't be sad if you didn't see it, you can also try showing up 15 or so minutes before the show starts to see if there is any seating available. Or, if you're more interested in hearing the music or if you'd just like some festive background ambiance while you relax and eat a snack, since the sound of the theater carries there are several nearby places to sit where you can hear everything (even if you can't see it). 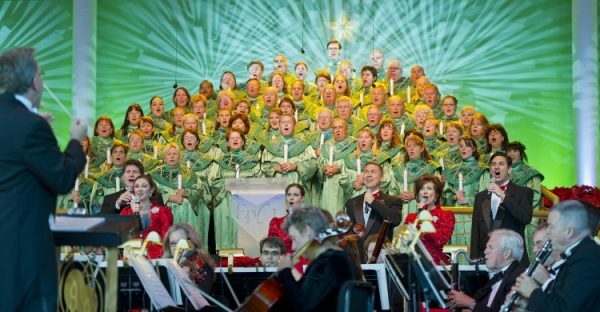 While the dining package is not REQUIRED to attend the Candlelight Processional, it is definitely ENCOURAGED in order to guarantee your spot at the performance. If seeing the Candlelight Processional is a "must do", book a dining package. When you factor in the cost of the time you'd spend in the standby line (instead of using your park ticket doing something fun) with no guarantee you'll get a seat, the value of the dining package is clear. Find more information on performance dates, the list of narrators, and Candlelight Processional Dining Package booking on the official Disney World website or by calling 407-WDW-DINE. No, they announced Free Dining early this year and I think that’s all we’ll have for this year.